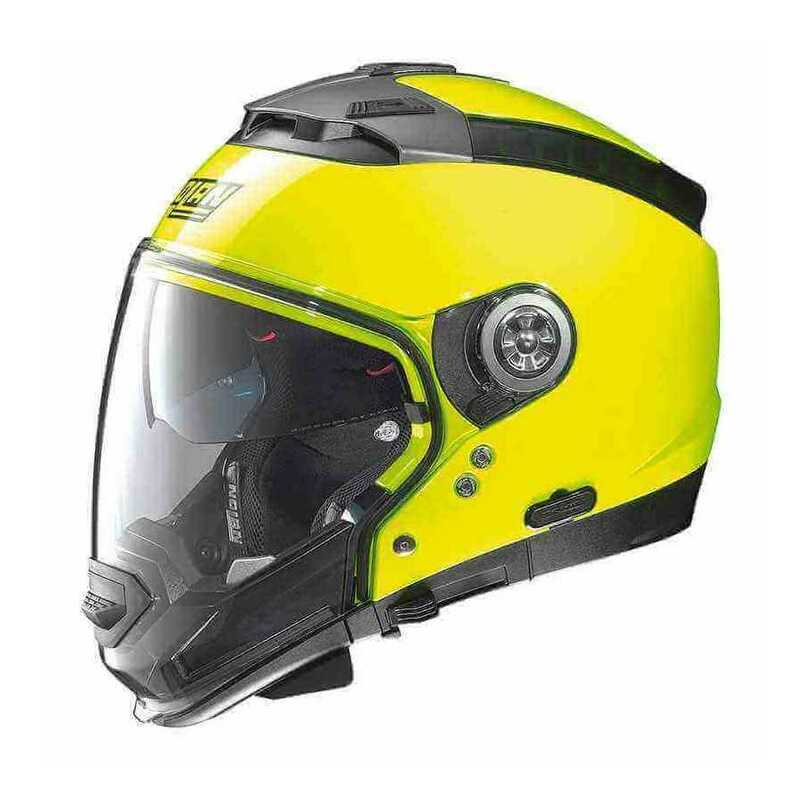 The N44 EVO is the evolution of the N44 model, the top-of-the-range crossover helmet by Nolan, now enriched with new comfort padding which, because of the technical and aesthetic solutions adopted, appears to be a close relative to the lining which equips the N104 ABSOLUTE. Produced in two outer shell sizes, the N44 EVO is able to meet the needs of the most experienced rider, both in summer and winter, in cities and on out-of-town excursions. The helmet is approved in P/J double configuration: in fact, the protective chin guard has passed the homologation tests required by the UN/ECE for fullface helmets. Highly appreciated are the wide visor and the ventilation system, characterised by the presence of the tested Airbooster Technology. N44 EVO is also equipped with a VPS sunscreen with UV 400 protection, Microlock2 (patent pending) double lever retention system, set up for the N-Com communication system and the innovative ESS (Emergency Stop Signal).